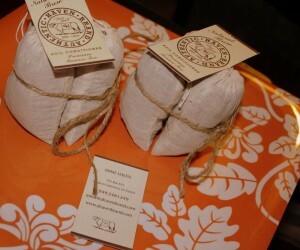 Authentic Haven Brand Manure Tea is what I am going to be fertilizing my garden with this summer. No more chemicals or synthetically produced fertilizers are going to be used and no more storing or lugging around heavy bags of fertilizer . That’s right, my garden is going green with a little tea bag I affectionately call moo poo tea. After using moo poo tea on my indoor plants all winter I was sold. My plants are healthier than before and growing lush and beautiful. Myth #1 – Manure tea will have a bad odor. 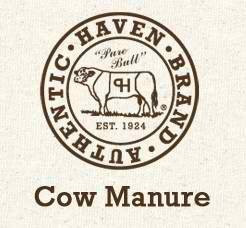 Authentic Haven Brand manure teas do not have a bad odor. After the sun-dried, composting procedure is completed, neither the tea bag nor the tea itself contain an offensive smell like raw manure would. In fact, our manure teas hardly have a smell at all. At best, it may have a very slight “barn-like” scent that is vaguely noticeable. Myth #2 – Manure teas are difficult to brew. Our manure teas are packaged in an all-natural cotton tea bag, which makes brewing a snap. 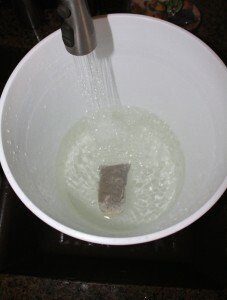 Simply place a tea bag in five gallons of water and allow it to steep for one to three days. In most cases, the manure tea can be ready to use after just a few hours of brewing. It’s just that simple. Myth #3 – Using manure tea may burn my plants. While it is true that raw manures can burn plants, well-aged manures will not if used in the appropriate amounts. Authentic Haven Brand uses nothing but well-aged manures that are composted in the sun over the course of several months. The manure tea provides a great balance of nutrients and minerals that will never burn your plants. 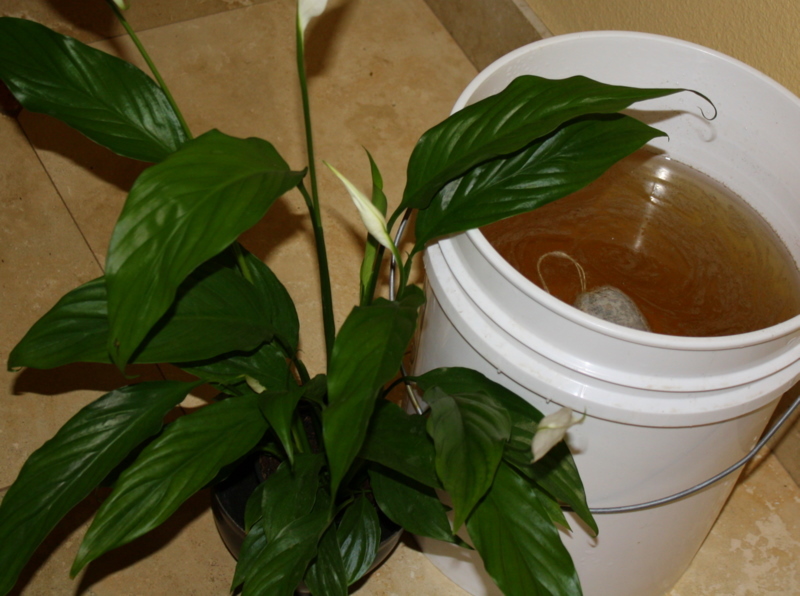 You can water plants with manure tea every day without worry of damaging plants. You can overwater your plants, so maintain a proper watering schedule. Myth #4 – Manures contain harmful pathogens. In recent years, there has been increased cases of E.coli and salmonella in the beef and produce industries. These cases have been directly linked to unsanitary livestock husbandry and produce handling. Instances of E.coli can increase with grain-fed cattle because their digestive systems are not “built” for grains such as corn. It's just that easy. Throw the bag in and fill with water. No smell or measuring. Thanks for letting me talk poo with you today. For more information on Authentic Haven Brand products check out their websites at http://www.manuretea.com/ http://www.ahavenbrand.com/index.html, on Facebook and on Twitter. Note: I purchased the products myself and was not asked or influenced by Authentic Haven Brand to write this review. This MooPoo is one awesome product. So glad I found it and your blog. Some awesome stuff here! I’m using moo poo tea in my garden too! I can’t wait to see the progress of the plants upon using it. That’s awesome! Love your blog by the way! I’m a Moo Poo afficionado, too! It’s great stuff, and my garden has never looked better. It really is good shtuff! Ha Ha! Glad you enjoyed my poo review, lol! Getting ready to place an order my dear!